Nice two bedroom apartment located in Llafranc, at only 170m from the beach. 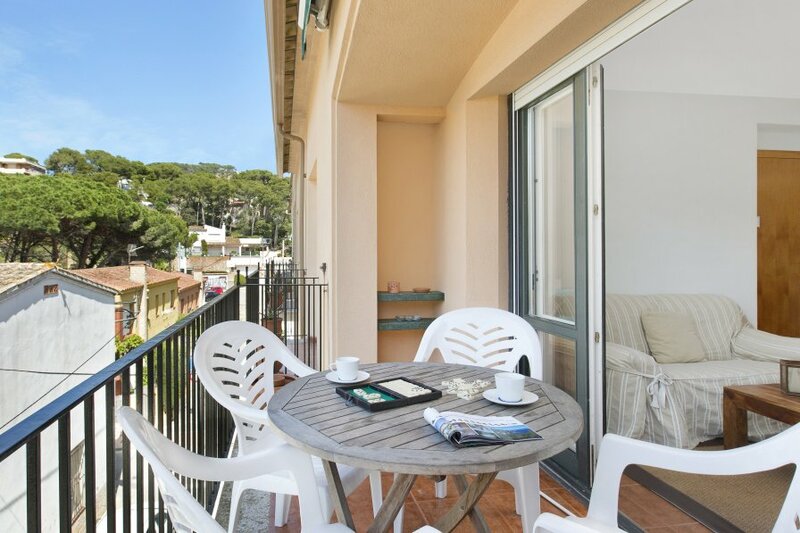 55m2 new apartment, located in Llafranc, just 170m from the beach and from the town centre. On the 2nd floor without a lift. It has 2 double bedrooms (1 double bed, 1 bunk bed), a kitchen (dishwasher, microwave), washing machine, bathroom + toilet, a living room (TV, fireplace). Balcony, terrace and parking.